Sometimes you need to know the date of issue of the phone. If no such information on the package, it is possible to try to find other ways. Nokia phones have some secrets, not all are known. With the help of special codes you will be able to learn many personal details about your machine. For example, typing *#06#, you will learn the unique serial number of the product, and the Internet will be able to find exactly when it was released. This can be done on the official website of Nokia. Dial *#92702689# and you will receive full information about your phone's serial number, date of manufacture, date of purchase and the last renovation. Interestingly, to leave this menu will only turn off the phone. Also remember that this method can only be used for vehicles that do Western firms. For the Chinese copies, this method may not work, so it's another way to verify the authenticity of apparatus. If you purchased the phone with it, you will be able to know whether it was repairs and how much time it is made and bought. *#0000# - this code will help you to learn all about installed on your mobile device version of the software. The display will show three lines: the first, for example, V05.31 is a version of the software second, for example, 24-05-00 is the date of issue , and the third will show the type of data compression. If your phone looks new although you don't know the exact date of issue, rather, it almost coincides with the release version of the software as new models put new. Information about the date of issue on some models you can see on the sticker by removing the top cover and removing the battery. Before you will be code like this: 08W45. The first 2 digits -08 – it's year of release, and the last 2 -45 is the number of weeks. That is, the phone was made in the forty-fifth week of 2008 year. Also, if you bought the phone in the cabin and sure it's not fake, on the box near bar code must contain the date of manufacture of the apparatus. The use of non-original batteries may serve as a causal refuse warranty service of the device. So he lose capacity, the charge holds much less, and in a few months, maybe even "die". Pay attention to the packaging. Crumpled packaging is downright screaming: there is a fake battery. She may give a fake head. Typographic print of the original is much clearer, sealing packaging looks like a stick with a circle, exactly glued to the hologram. Be sure to check the documentation. The presence of the user, the compatibility list disposal instructions required. Documents should be in multiple languages. But the characters should alert you. The Chinese market is a separate segment for manufacturers and nothing to do with us not have. Pay attention to your original battery, and is generally better to buy new to take it with you. Carefully compare the appearance of the devices. Despite the fact that often they look very similar, there are things that you guard. Case material – it is slightly oily to the touch input. The contacts of these batteries plated alloy with smooth uniform Golden color, no scratches or potreste. Look at the label of the battery. The original must be the icon in the trash not thrown away, print labels more clear, the sticker on straight, the letters are in any case not circumcised. Shake the battery, the original should not do inside to hang out. Fake can and weight to be easier. Original battery should fit snugly and not hang out in his "house". From a fake you can keep buying "live" in a specialty store, from an authorized dealer. Buying cell phone, you need to be sure that you have in your hands an originaland not a fake. To check mobile devices company "Nokia" need to take a number of actions. First of all, check the appearance and technical characteristics of the phone. For this you will need a detailed description of the apparatus. Download it on the official website nokia.com by selecting the model of your device. Appearance stated in the description, should be identical to your phone. Turn the phone on and check the menu view, display quality and internal storage. For these indicators to recognize a fake easier. On such phones, the display is of lower quality when changing the viewing angle the contrast of the image will change. Often counterfeit manufacturers give the phone features that are missing in the technical description. Dual SIM card, built in TV, connect your memory cards - if these functions are not declared in the description but present in the phone, be sure that you have a fake. Remove the battery and the back cover of the phone. Underneath you should find a sticker of Rostest and the sticker of conformity to communication standards. The inscriptions on them should be clear, with no typos and no blurry letters. If stickers are missing or clearly look made handicraft, it is in your hands fake. Under battery should be the IMEI number. Write it down, after insert the battery and turn on the machine. Wait for it to load, then type on keyboard *#06#. Compare the IMEI number with the recorded code. If it matches, it is in your hands - originalspacious the phone, otherwise you are dealing with a fake. In order to be completely sure that your phone is originalspacious, please contact our technical support Nokia Care. Contacts you can find on the official website of the company www.nokia.com. Provide the IMEI number of the phone, then you will be informed about the authenticity of your device. Cell phones have become an integral part of our lives. Currently, many companies offer their product, and almost anyone can pick up a phone like. Buying the phones and its components: rechargeable batteries and chargers it is important to know whether they are branded. In order to distinguish original battery from fake, the first thing you notice is the hologram. Make sure it is available, and also the presence of the symbol Nokia "stretch each other hands"- one angle and the Nokia Original Accessories logo - from a different angle. Now try to tilt the hologram left, right, up and down. On each side you should see the point. That is, if the battery is to twist in the hands, around the inscription on the Nokia hologram you will see on the left one, right is two, bottom three and top - four points, respectively. Keep in mind that this test is not a total assurance of the authenticity of the battery. And if still you cannot confirm that your Nokia battery is genuine, do not use it and contact your nearest Nokia service point or dealer, as this may damage your device and invalidate any warranty. Check the authenticity of your battery serial number on the website of the manufacturer and find out all the information you need on branded batteries at www.nokia/com/battery. Check the connections at the battery by pressing on each contact clip. The original, they are not selling. 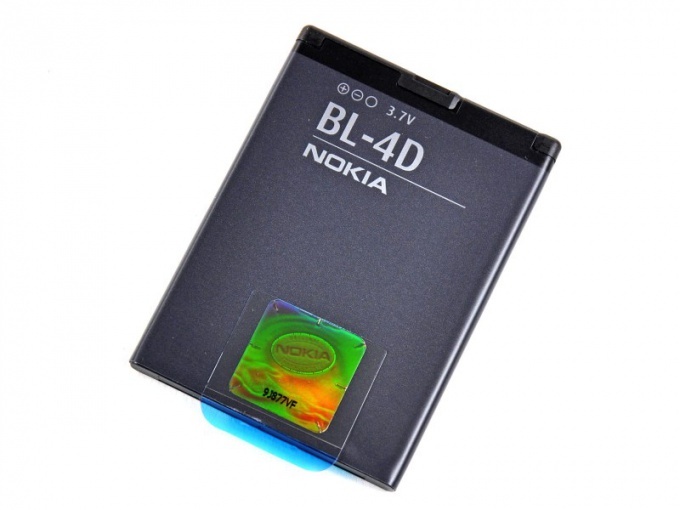 Inspect the label on the battery - the letters should be clear, without extraneous oval, round, holographic or white questionable labels, with the exception of symbol Nokia "stretch each other hands" that shimmer. There is one difference between the original battery and fake. The Nokia inscription on the hologram is parallel to the line, which shows the battery model, and fake mostly perpendicular. Also aftermarket battery heat up very quickly, like during a conversation, and during use of the device. Cell phone Nokia 8800 model, which is often the subject of forgery. To make sure that your phone is original, you need to do a number of simple steps. First check the phone. Items must be made of plastic and metal and fit tightly to each other. On the case there should not be any additional trademarks or labels. The logo of the company must be spelled correctly and easy to read. 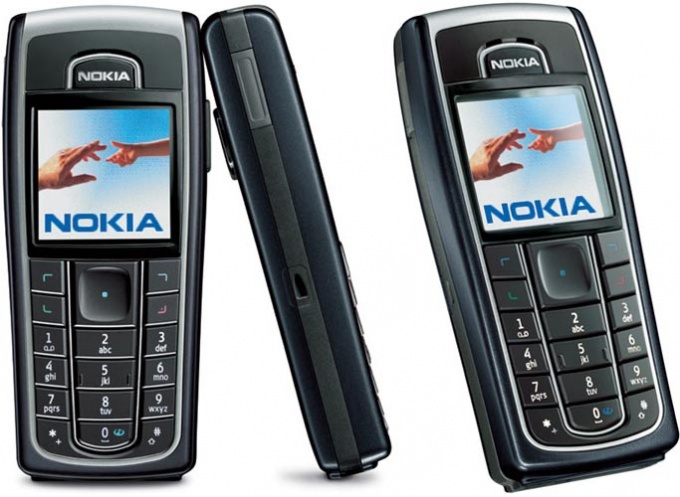 Original Nokia 8800 has a memory capacity of 128Mb and does not provide any additional features such as memory card, slot for second SIM card or built in TV. The presence of one of these functions give an absolute guarantee that the phone is a fake. Test the keyboard. Keys should be fairly easy to push, say a small squeak when pressed. They must attend the Latin and Cyrillic layout, without any extra characters. Remove the back cover and the battery, make sure what's underneath is a sticker of conformity to standards of cellular communication, serial number and IMEI. The inscriptions on them should be printed clearly, without smazannost and any typos. Allowed only black font on a white background. Letters should be printed neatly and must be legible. Turn the phone on and check the internal menu functionality, and also the phone display. Menu should be done in the standard icons, in full accordance with the description stated on the carton and in the instructions. They should be clickable, as well as to choose. It is unacceptable the absence of any menu items, the presence of empty spaces or the menu name in a language different from the language menu. Type on keyboard *#06# and compare the displayed number with the IMEI number which is on the back of the phone under the battery. In the original, these numbers have to match, otherwise your phone is a fake. Contact the support service for owners of Nokia phones of the contacts that are available on the official website nokia.com and give them the IMEI number of the phone to be sure that your phone is not fake. Here you can buy original Nokia 8800. 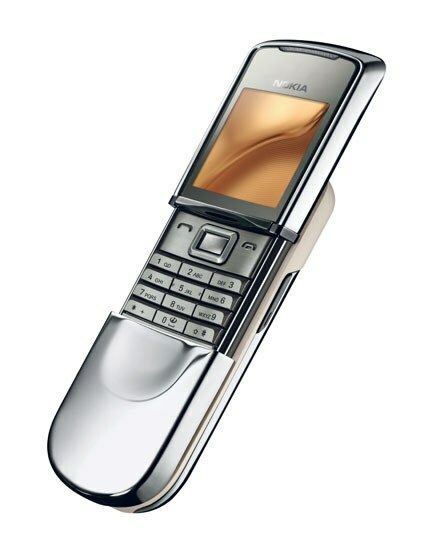 Buy the Nokia 8800. Vertu Signature S Design Platinum Diamonds. We have provided keyboard with the Russian alphabet and the Latin alphabet. And, of course, you can always find a new Keyboard Nokia 8800 ORIGINAL! We stand behind the quality of our products and therefore we offer our clients the products, the reliability of which we are sure. 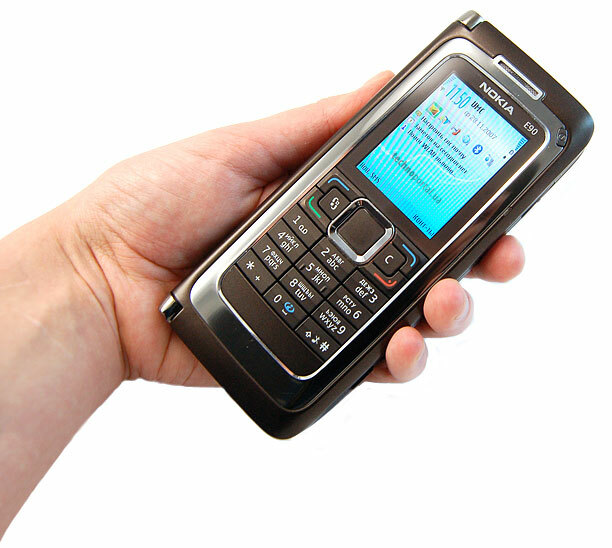 If you want to buy Nokia 8800 Keypad ORIGINAL and not to doubt its quality and reliability, then go to our online store. In recent years, the market of mobile phones and accessories, you can easily find a fake. This also applies to products Nokia, as products highly in demand and so attempts to fake it are pretty common. 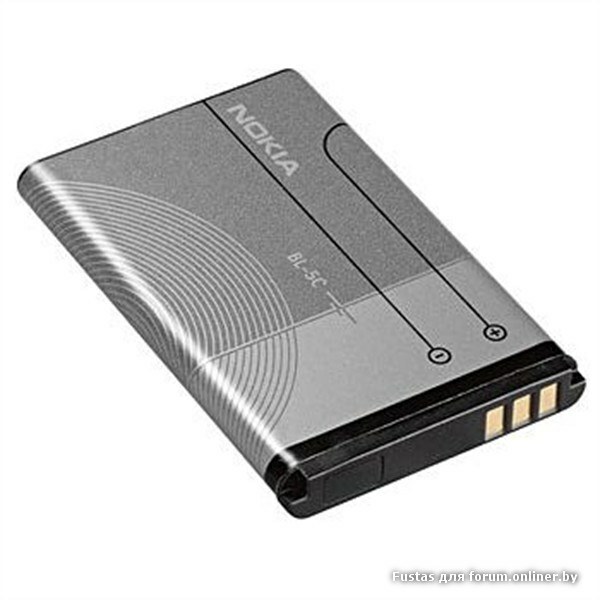 If you purchased the battery of the Nokia company, you can check its authenticity. Visit the official Nokia website, support section. Navigate to the authentication page battery. For the European Nokia website this information can be found at http://europe.nokia.com/support/learn-how/check-your-battery/hologram-and-code. The official website of Nokia is located at nokia.ru. You can find a lot of useful information. Remove the battery from the cell phone, after turning off the camera. Inspect the battery and locate the hologram on the battery housing. The hologram should display a well-known company logo. If logo, a sample of which you can see by clicking on the link in step 1, no on the sticker, it means you bought a fake battery. Check for special points on the hologram. According to the instructions on the official website, on the left, right, top and bottom of the sticker should be located one, two, three and four points respectively. If your label such points does not, then you bought a fake battery. Contact the nearest Nokia center that is located on the official website. For Russia, nearest service center can be found at http://www.nokia.com/ru-ru/store-finder. If you are convinced that purchased a fake products, feel free to contact the point of sale. If the seller refuses to return the money and take the item back, ask to see the certificates of quality for battery, s for this type of product they required. As practice shows, often users of mobile devices purchase low-quality products. To buy the battery from official supplier, need to order all products on the official website by email.